Summary: Cheng Xiao Si: Cute and naive, but her relationships never last longer than 3 months. For the 17th time now, she has been dumped. Can she find true love? He Qun: A cool and sympathetic singer, but he cannot get along with his brother, Ah Zhe (Gino) due to an incident that happened years ago. Rita: She grew up with He Qun and Ah Zhe. Rita is the girlfriend of He Qun, but she has always been in love with Ah Zhe. Ah Zhe: The younger brother of He Qun. Although he had taken away Rita, it is supposedly in spite for what he did. He is also the one Xiao Si has a crush on. Their paths cross when an little accident happens between He Qun and Xiao Si (which leads to He Qun and Xiao Si getting engaged). Will this love mess sort itself out? a truly great, great drama! watch it in the spring to enlighten your spirit for upcoming summer! 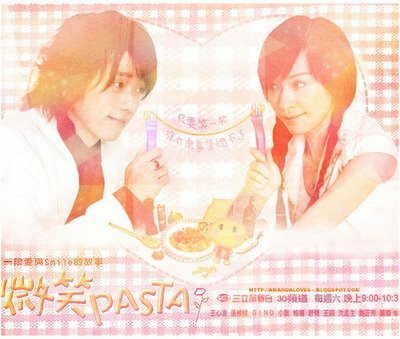 watch it in the summer to fulfill yourself with this cute, light-hearted drama! watch it in the fall and winter to shake away the dullness of weather! round of applause to ya all! great casting and cute plot!